In August, Google honored Gerda Taro, the Jewish war photographer who invented an American photographer in order to sell her photojournalism. Google did so by creating a doodle in her name for what would have been her 108th birthday. 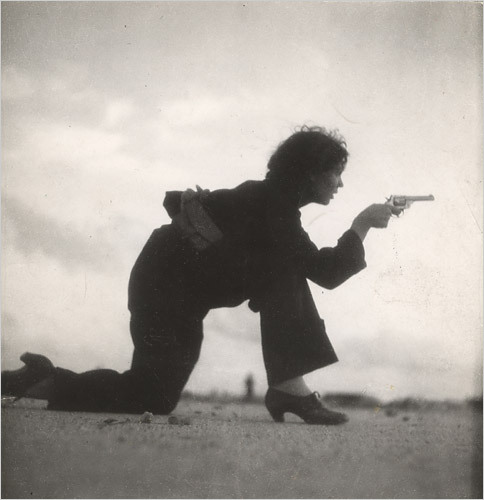 Taro’s most famous work was her depiction of the Spanish Civil War, when she captured such heartbreaking photos of bodies lined up in morgues and such heroic photos of militiawomen in training. Sadly, Taro died after a very brief photojournalism career because she continued to take photographs on the frontlines when nobody else did. Gerta Taro was born to a middle-class Jewish family in Stuttgart, Germany. She attended a Swiss secular boarding school, where she gained knowledge of the French and English languages before she moved back to Germany. Sadly, Taro was quickly arrested for protesting the Nazi party. Her charge was handing out fliers. Taro then decided, in 1933, to flee the Nazis and headed to Italy, but landed in Paris shortly thereafter. Paris has always been known as the hub for Europe’s elite artists. While attempting to break into this industry, Taro worked as a model, an au pair, and a waitress. In September of 1935, Taro met the man who was to become her lover, and the second half of the legend of Robert Capa. Endre Frieddman, who went by Andre, was also a Jewish refugee fleeing the Nazi party. Frieddman was a photographer, and sparked Taro’s interest in the field. Editor's Tip: Post-processing your images doesn't have to be difficult. Try Luminar today and see how easy it is to create spectacular photos. 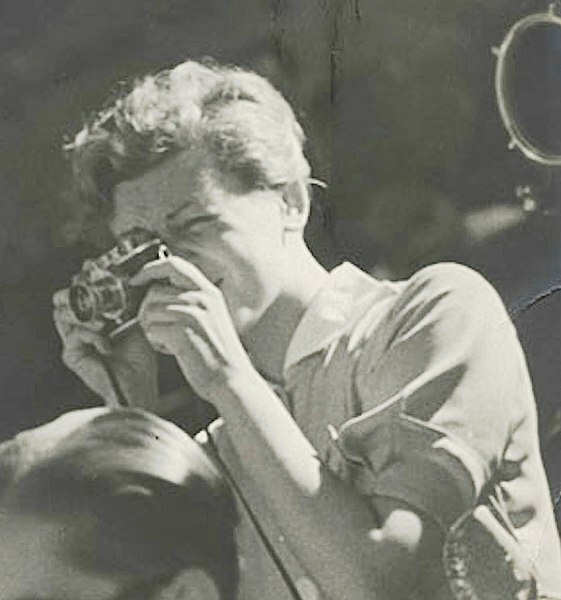 Taro’s big break came in 1936 when she received her first photojournalist credential after beginning a job that Frieddman helped her get at the Anglo Agency Alliance. Frieddman, meanwhile, was still struggling to get clients. No doubt, his ancestry and the rampant racism at the time played a role. 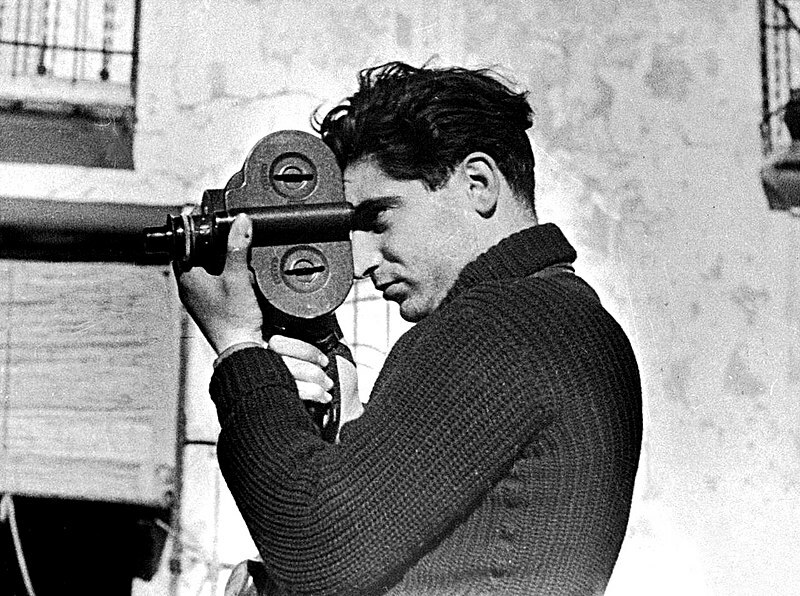 Photographer Robert Capa during the Spanish civil war, May 1937. Gerda Taro [Public domain] via Wikimedia Commons. This is when the pair came up with the idea of Robert Capa. 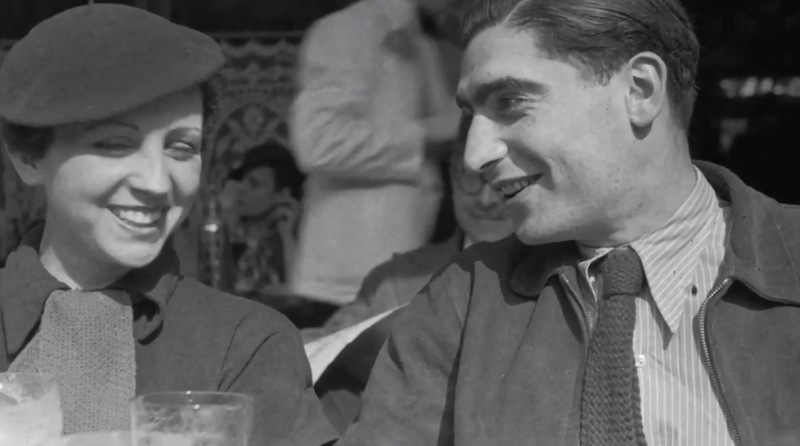 Robert Capa was an American pseudonym the pair could both sell their pictures under. Frieddman acted as an assistant, while Taro acted as the salesperson. The photographer, Capa, was a recluse, which is why he had his assistants selling for him. As is less typical today, the pair mostly took and sold photojournalistic pictures covering the rise to power of France’s Popular Front. The secret of Robert Capa was soon revealed and Frieddman continued to work under the pseudonym, forcing Taro to adopt “Gerda Taro” as hers. A 1937 image by Ms. Taro of Republican soldiers at the Navacerrada Pass in Spain. Gerda Taro [Public domain] via Wikimedia Commons. The fascist ideology of the rebellion during the Spanish Civil War was openly backed by the German regime, making Taro especially sympathetic towards the Spanish people involved. When the war broke out, she and her husband decided to move there to gain work as photojournalists. Such magazines as Life and the Illustrated London News published these photographs and Capa took on the role of running to Paris to further discuss business with some photography agencies in 1937. A 1936 photograph by Taro showing a woman training for a Republican militia. 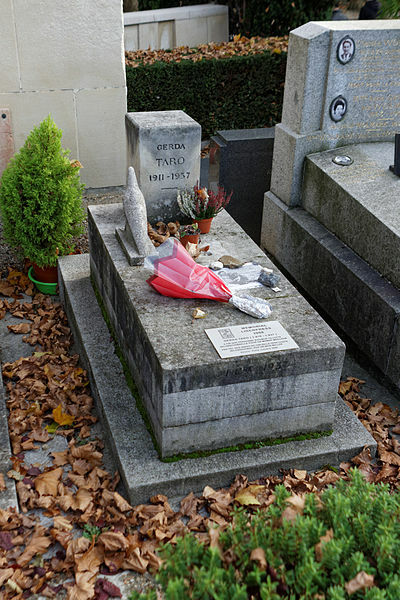 Gerda Taro [Public domain] via Wikimedia Commons. Taro continued to pursue photographs of the war while Capa was away, leading her to her demise. She became trapped in the trenches in Brunete on the frontlines of the war. She took photos until she ran out of film and eventually believed she had found a way out with a tank full of the injured soldiers. German planes found the tank, however, and Taro was knocked to the ground in the ambush. Although doctors operated on her and she was awake by the time she made it to the hospital, it is believed, that the doctor decided to give her a peaceful death and pumped her full of morphine in her last hours. Taro died at 26, after two years in her chosen field. Her funeral, put on by one of the magazines she worked for, was lavish, according to the Guardian. Learn more about Gerda Taro in the video above by Kizoa. In January, the Guardian reported a photograph many believed to be Taro was published on Twitter by a retired British lieutenant general. The lieutenant general’s father was a volunteer doctor who worked during the Spanish Civil War. The photo shows the doctor leaning over a young woman, dabbing blood from her leaking nose. 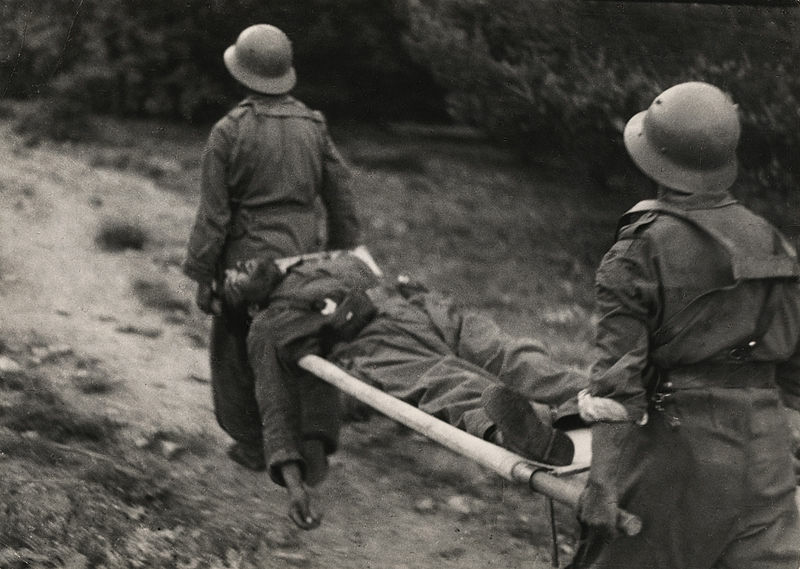 The lieutenant general, John Kiszely, didn’t realize the picture was anything more important than another photograph of his father working on a patient until Spanish Civil War enthusiasts started excitedly asking questions. Taro worked for Ce Soir at the time, and was married to Frieddman-turned-Capa. However, June is the incorrect month for the death of Taro and Frank Capra was a famous film director at the time. Also, the town the photograph names, Torrelodones, was 15 miles from the town where Capa was murdered. The inscription on the back of the photograph, according to the Guardian, seemed to be added much later than the date the photograph was taken, which could explain the curiosities. Taro took an abundance of photographs of herself over the years, and Capa took many more, but the discovery was thrilling to the photographic community due to the fact she is still considered one of the best, brightest, and most fearless war heroes to this day.